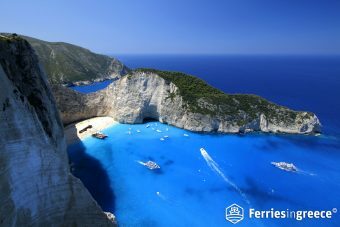 The Greek islands are among the top summer holiday destinations worldwide, because of their incredible weather, stunning beaches and cosmopolitan atmosphere. Though in Greece people tend to have a more conservative attitude, in the past few years there has been a positive change towards gay and lesbian couples coming to the country for holidays. Many beautiful islands have developed an organized gay and lesbian tourism, with several gay-friendly hotels, gay bars and shows as well as gay cruises. 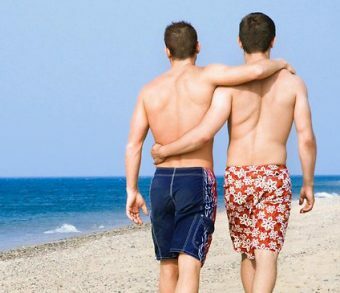 Here are our suggestions for the top 5 gay islands in Greece. Mykonos is by far the top among the gay islands in Greece, accepting a large LGBT audience every summer. 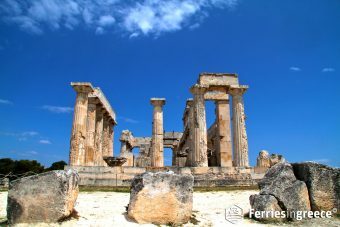 This stunning island is about 3-5 hours from Athens by ferry and is a perfect gay and lesbian destination, as it has an organized gay nightlife with upbeat gay bars and clubs, gay-friendly beaches and hotels. Renowned for its great natural beauty, charming sunset and wild party scene, Mykonos offers chances for relaxing, romantic and lively holidays. The most frequented gay hotspots are the famous beaches Super Paradise, Elia and Paradise, and some clubs in Town, such as the famous Pierro’s Bar, now called VooDoo. The second most gay-friendly island in Greece, Santorini is one of the most romantic destinations all around the world, famous for the magnificent sunset, the impressive caldera and extraordinary volcanic beaches. Locals are very welcoming to all, accepting the gay and lesbian audience equally. Although there is not an organized gay and lesbian life on the island, many hotels and entertainment venues are totally gay-friendly. The most popular Santorini beaches for LGBT visitors are the nudist beaches of Vlychada and Cape Columbo. The island is mainly visited by couples and honeymooners and is a perfect choice for magical wedding ceremonies. 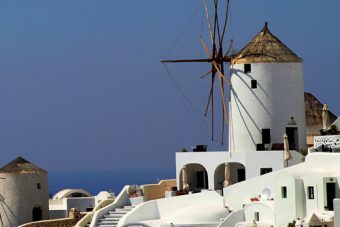 It has a romantic and somewhat tranquil atmosphere, compared to the neighbouring island of Mykonos. If you are interested to visit both islands, you can easily hop to Mykonos with a ferry to Santorini. 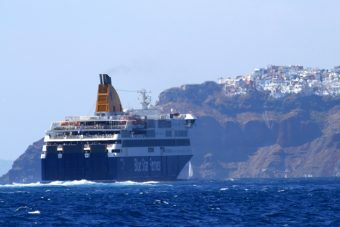 There are frequent ferry connections between Santorini and Mykonos in summer season. Although understated, gay life in Paros is a great choice for those seeking a comfortable and cosmopolitan environment away from wild partying. LGBT visitors are mostly welcome in the island of Paros, however there are no exclusively gay bars or hotels. Instead, there are mixed clubs for all preferences and gay-friendly cosy hotels. In Naoussa there are also two sandy beaches with crystalline waters, ideal for gay cruising and nudism, Kalami and Lageri. 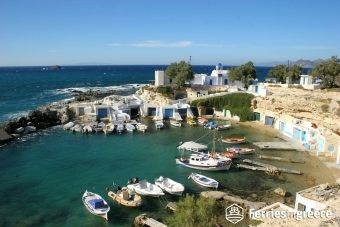 Paros can be reached by ferry from Athens and also from other close islands. The most cosmopolitan island of the Sporades complex, Skiathos is also an idyllic destination for gay and lesbian holidays. The untouched nature and amazing beaches with crystal clear waters create a romantic environment, ideal for couples. 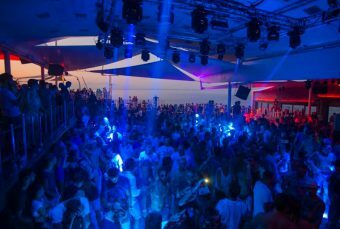 Skiathos offers a lot of opportunities for gay and lesbian couples and singles, although gay entertainment is unorganized. The most famous gay beach is Little Banana. Getting to Skiathos can be done by plane or via ferries from the ports of Volos and Agios Konstantinos. 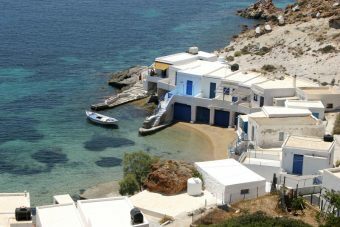 Antiparos is an island away from crowds and constitutes a more alternative gay and lesbian destination. 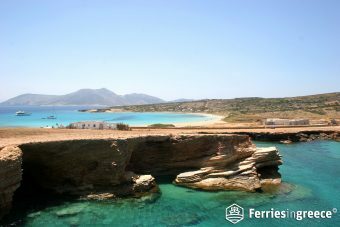 It is very close to Paros and there are frequent local ferries from Pounda port in Paros to Antiparos. Beaches in Antiparos are sandy, crystal and great for privacy, even in high season. The tiny town has many cozy bars and clubs for discreet holidays. There are frequent ferry routes to all these islands from Athens. So, book your ferry tickets and let the holiday adventure begin!